This Monday will start the final week of the Fremont Chess Camp at Mission San Jose Elementary School. For only $185, your child can spend the week studying chess at the most successful school chess program in the United States. Our coaches for the final week include Francisco Anchondo, James Paquette, Joe Lonsdale and Chris Torres. 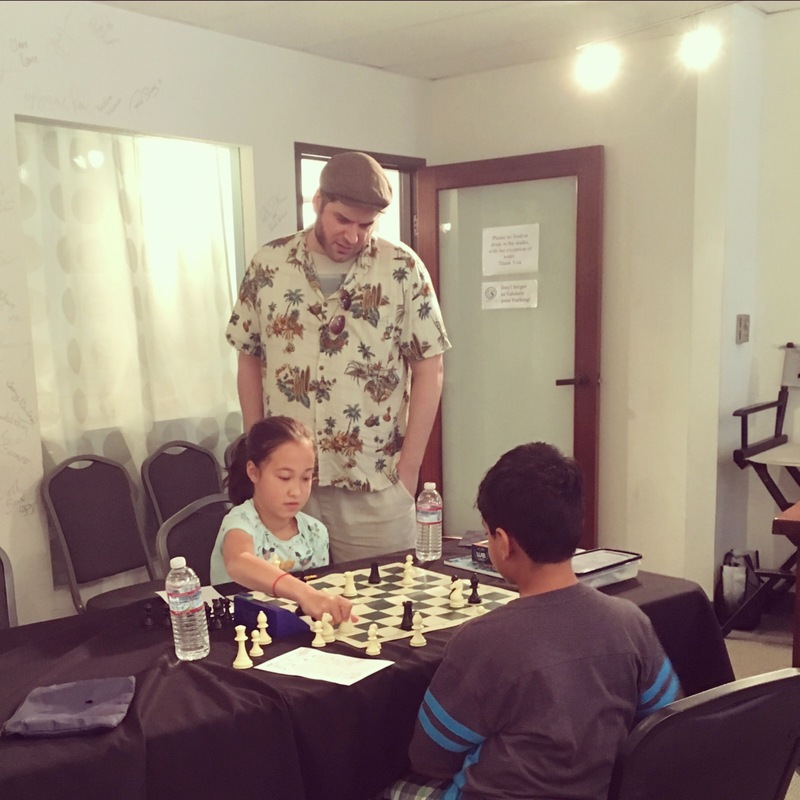 The camp will consist of players from the Mission San Jose National Championship Chess Team, several students who are Calchess State Champions and a large contingent of young players who are very serious about improving their chess. This is the last best chance for your child to receive the kind of chess training guaranteed to make a difference this summer. Don’t hesitate to sign up at the Torres Chess and Music Academy website or email questions to chesslessons@aol.com. 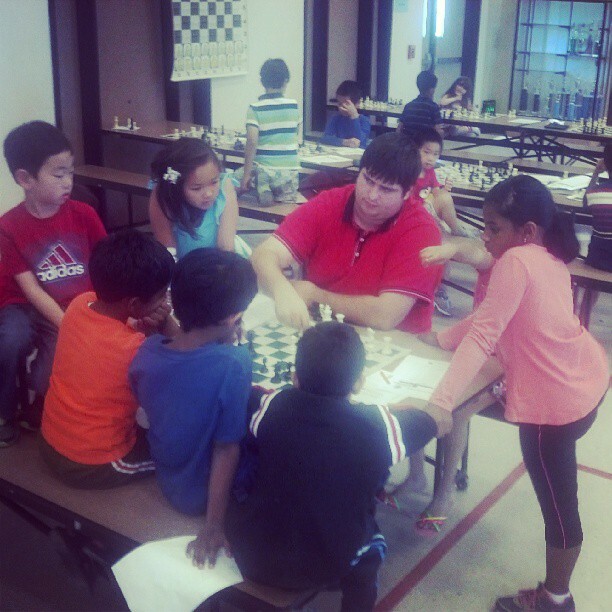 The Fremont Chess Camp at Mission San Jose Elementary School is where champions are made! On November 16, 2012 the United States Chess Federation announced updated scholastic regulations that prohibit the use of personal music players and headphones. This move was made in order to defend against perceived threats to the integrity of over-the -board chess caused by electronic devices being used as a tool for cheating. In a bold contradiction of logic, the USCF still sanctions the use of electronic score keeping devices which, in my opinion, have a much greater chance of being used nefariously. I believe that this rule change will result in USCF national events becoming more like a detention halls. It doesn’t take a chess master to understand that by making the tournament experience less pleasant for players, the USCF should expect to see fewer players participating and consequently less membership renewals. Francisco Anchondo demonstratated his usual tactical bravado in the fourth round of the 2011 National G/30 Chess Championship. His opponent, Eric Schiller, attempted to play a rather dull carro-kann but Francisco steered the game into a violent fantasy variation. I was glad to see such an exciting game take place in the open section and believe that Francisco Anchondo’s overall tournament performance should provide adequate proof that dynamic chess can be very successful at national championship events. Qa5 9. Bd2 Qa4 10. Nh3 c5 11. Qb1 a6 12. Nf2 cxd4 13. cxd4 Qxd4 14. f4 Nc6 15. Eric Schiller had a rough time of it at this year’s U.S.C.F. National G/30 Chess Championship. Because he is a gentleman and a scholar, I felt bad about publishing one of his losses. I hope reposting this win over Ted Castro will improve his mood. California is set to host the U.S. G/30 Chess Championship on October Second, 2011. Having a U.S.C.F. National Championship in the Bay Area is a rare treat and many of my chess students are eager to win another national title. I will report live from the Santa Clara Convention Center and provide complete coverage of this exciting chess tournament. The Bay Area will be hosting the U.S. G/60 Chess Championship on October First, 2011. It is a rare pleasure to have a U.S.C.F. National Championship located in Northern California and many of my students look forward to this extra opportunity to add to their credentials. Tomorrow, I will report live from the Santa Clara Convention Center with a special emphasis on Northern California’s best chess juniors.